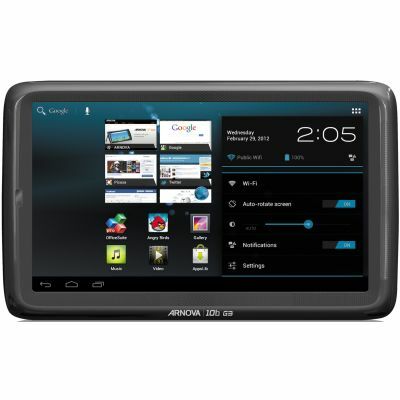 The Arnova 10b G3 tablet is a product refresh of the Arnova 10b G2 best seller, updated with latest Android 4.03 Ice Cream Sandwich and 1 Gb of RAM. The rest of the device specifications stay the same: Rockchip RK2918 processor (single core) running at 1 GHz, 10.1″ capacitive touch screen, front camera. 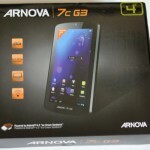 or use our custom firmware to get Google Play / Android Market on the Arnova 10b G3. 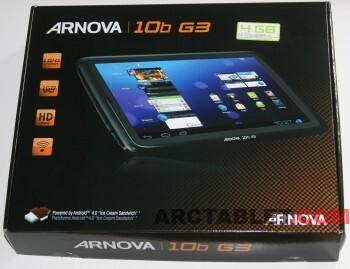 The Arnova 10b G3 tablet shares its design with the previous Arnova 10b G2 model. 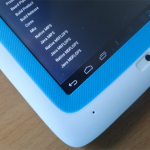 The outside case is fully made of plastic with a brilliant aspect on the perimeter and the back of the tablet, that easily catches fingerprints. 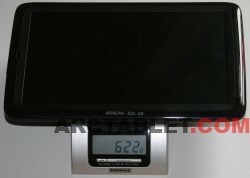 Weighting a little more than 600 g, it comparable to other models such as Arnova 10 G2 or Archos G9, the 10b G3 does not provide a kickstand. The camera (0.3 Mpixels) is located on the front left side of the case, the single speaker is on the other side. 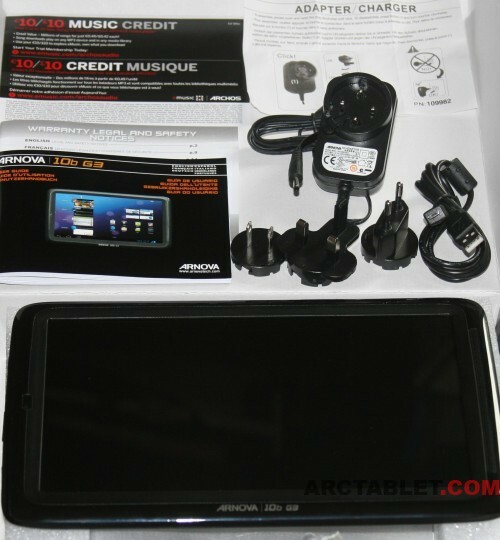 The buttons and connectors are located on the left side of the tablet, we can find: power button, reset pinhole, volume +/- push button, the OTG micro USB, stereo earphone and power connectors. 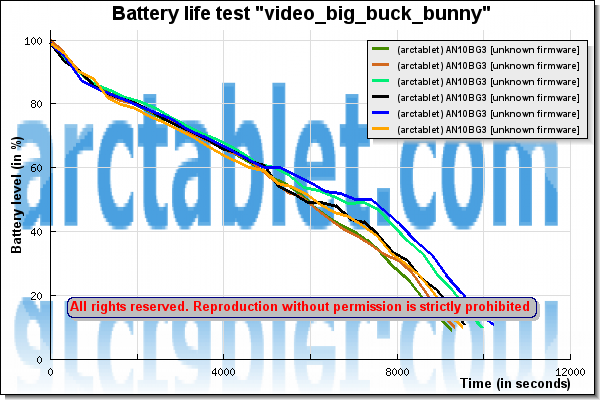 We ran a battery life test playing Big Buck video (720p, mp4, reencoded sound in AAC format: this file big_buck_bunny_720p_AAC.mp4), brightness was set at 50%, sound at 50% and Wi-FI disabled. 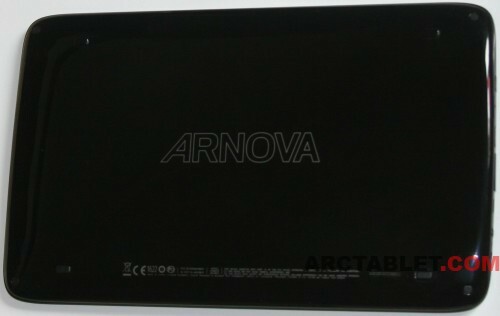 The tablet was running Arnova 10b G3 official firmware from 2012/06/11 and ArcTools battery life test was used to generate the following graph. With this test scenario, the battery life of the Arnova 10b G3 continuously playing a video was around 10 000 seconds, that is ~ 3 hours. 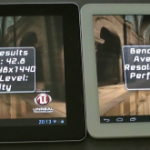 This is one of the lowest battery life we got to see on a 10 inches tablet. 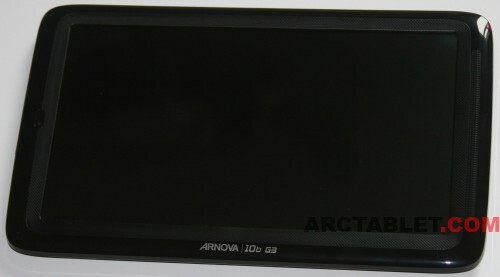 You can also refer the our Arnova 10 G2 review for further information on this 10 inches model very similar to the Arnova 10b G3. Previous articleArnova GBook unveiled, “made for eReading”, really? 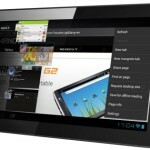 why is stock firmware for this device not available anywhere???? Probably because the manufacturer is not doing his job properly.